www.instagram.com/werabbitzofficial https://www.facebook.com/werabbitz Behind the masks of We Rabbitz hides a production team and a vocalist with a long trail of hits on Armada, Spinnin', Atlantic and countless more. 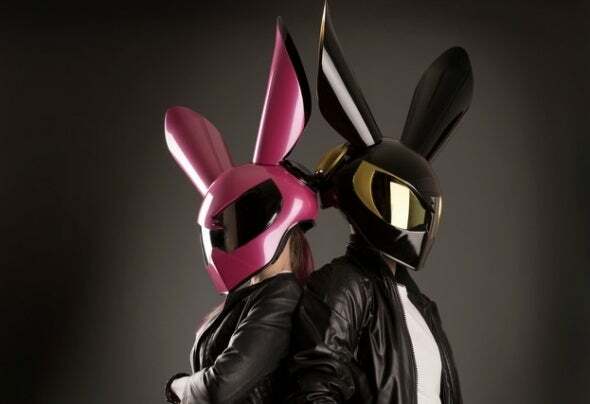 Come 2016, the duo designed its futuristic rabbit masks and created We Rabbitz, a new music and visual project drawing from trap, future bass, pop and electronic. We Rabbitz is well known to the Instagram audience thanks to tongue in cheek videos, covers and remixes which made the act a viral sensation; this earned We Rabbitz coverage and support from the main music oriented social media channels, leading the duo to be in high demand for packed events. Influenced by Flume, The Chainsmokers, Alan Walker, Keys ‘n’ Krates, Madeon and Porter Robinson, We Rabbitz is ready to release its own distinctive sound to the world.